"What are you hungry for?" Sometimes the answer is obvious: pizza, Chinese food, a juicy steak. Our spiritual hungers are rarely that easy to identify. The season of Lent, our 40-day preparation for Easter, is our annual invitation to grow in awareness of those deeper hungers.  We need Lent to help us recognize that our meaning and mission are rooted in Jesus' dying and rising. Together with those preparing for baptism, we join in outward signs of our inner conversion. Our year-round prayer, fasting and almsgiving take on new meaning during this season. Catholics were once well known for their practice of not eating meat on Fridays, a specific form of fasting called abstinence. Stories abound of the lengths Catholics would go to keep this law. Of course, as with any law, it was not that difficult to meet the letter of the law and violate its spirit. One might enjoy a fine lobster dinner or fish fry at a local restaurant and still meet the law's requirements. Catholics were also called to limit their food intake on a variety of other fast days. The reforms which followed the Second Vatican Council sought to simplify the often complicated questions that arose regarding fast and abstinence while re-emphasizing the continuing need for such practices. The current laws took effect in 1966. They read simply: "Catholics who have celebrated their 14th birthday are bound to abstain from meat on Ash Wednesday and each Friday of Lent. 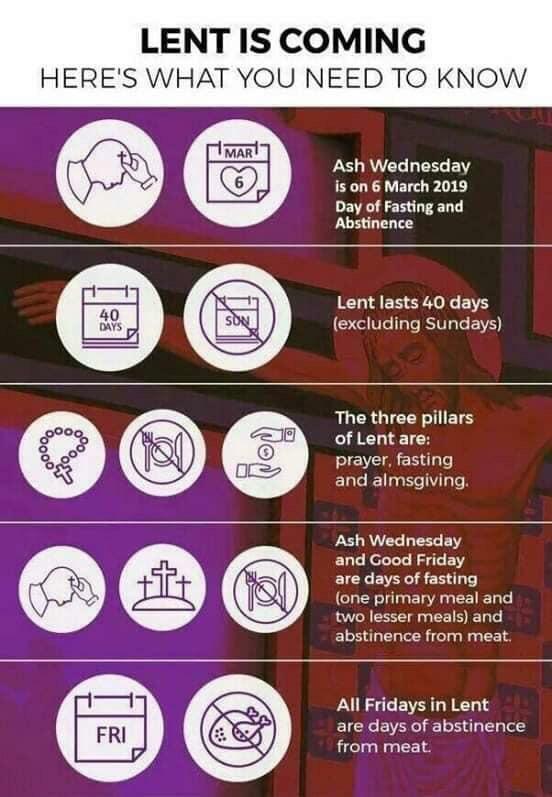 Catholics who have celebrated their 18th birthday, in addition to abstaining from meat, should fast, i.e., eat only one full meal on Ash Wednesday and Good Friday. Smaller quantities of food may be taken at two other meals but no food should be consumed at any other time during those two days. The obligation of fasting ceases with the celebration of one's 59th birthday." The spirit of the law may invite us to fast from other activities as well: from television or computer games, from eating out or from gossiping. These minimum requirements make the most sense when they are combined with prayer and almsgiving. These age-old disciplines reflect our most fundamental concerns: our relationship with God (prayer), with our bodies (fasting) and with each other (almsgiving). season. They fast on Ash Wednesday and Good Friday. two partial meals and should not snack. 40 days to prepare for his ministry. our corporate sorrow for social sin. our hearts more toward God and less toward food. • They make us more disciplined and more charitable. detached from whatever may keep us from God. prayer with fasting and its fasting with prayer. thy penitential practice, even when it is not required. one hour before sharing communion.